Is your exhaust making a louder noise than usual? Don't let it reach the point where you're being targeted by Police for having an un-roadworthy vehicle. A vehicles performance is certainly compromised by an exhaust system that is worn or damaged. Beachside Automotive Services provide a complimentary check of your exhaust each time your vehicle is in for servicing, after all, why have a great running engine that isn't performing the way it should. Since 1986, car manufacturers have been required by law to fit passenger vehicles with a catalytic converter. A catalytic converter treats harmful exhaust fumes and turns them into elements which are environmentally friendly. These poisonous pollutants are actually converted into harmless nitrogen, carbon dioxide and water by your catalytic converter. So what comes out of your exhaust pipe won't harm mother nature. 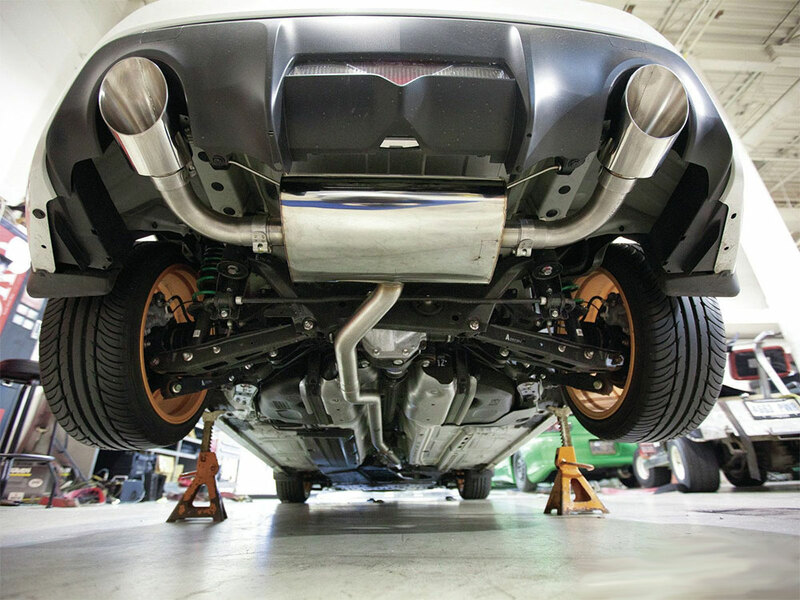 If you want to get better performance from your car, the exhaust system is a good place to start. Extractors are an inexpensive way to boost the power of your engine and you'll be surprised by the difference. More torque from your four-wheel drive.